Have you ever known anyone who really saw a Werewolf—or had a real human skeleton in their closet? What about spending a scary stormy night in a backyard treehouse or tent? Maybe you moved because of a parent’s new job and discovered something about yourself while struggling to make new friends. The stories found in this book are filled with excitement, fright, and glowing insight. Settle into your favorite reading space and meet some new friends. You might even learn some wonderful things about people in your life you already know! 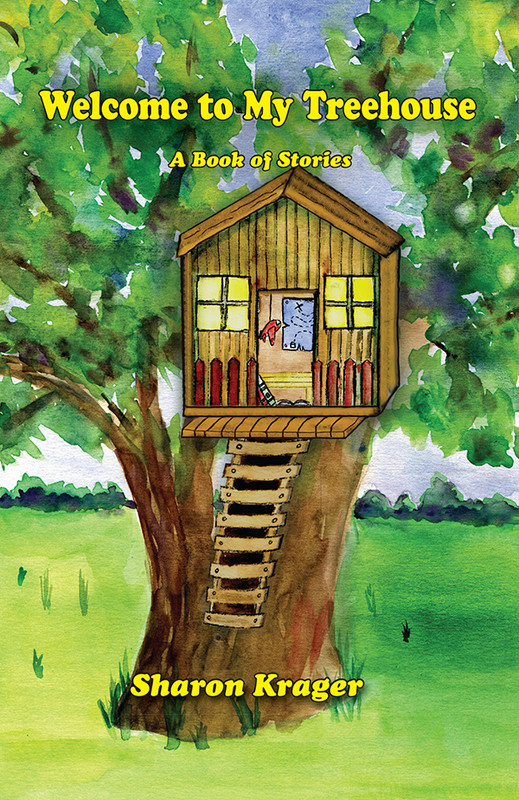 Welcome to My Treehouse is a collection of short stories and poems written by Sharon Krager for children between the ages of eight and twelve. Subject matters range from ideal creature comforts from a kid’s point of view to new discovery in nature, play, and a universal wholeness one gets from strong friends and family in daily life. Sharon Krager has published four read-aloud books, and enjoys writing short stories. She is a former substitute teacher, and nursing home administrator. Sharon is also a nurse and co-owner of a family business with her husband, Jerry. They have three children and eight grandchildren, and live in Paris, Missouri.